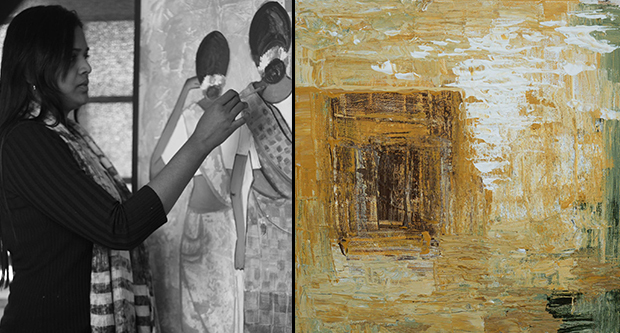 Ms. Indira Nachiar has been in the field of creative art for more than two decades. At present she is the creative head of New Delhi Young Designing School. She is also training aspirants for international designing schools. Indira is associated with well known institutions such as Jawaharlal Nehru University and National Council for Education and Research. These varied experiences have driven her experimental works. Although she post-graduated in economics, she became a professional artist (first solo show at the age of 21). Since then, she had several solo and group exhibitions at local and international level. Indira moved from a small town to Dehli when she was recognised as best visual artist by Indian Ministry of Human Resource Development. 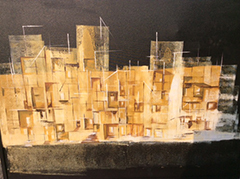 Her work is based on urban life and its complex nature.